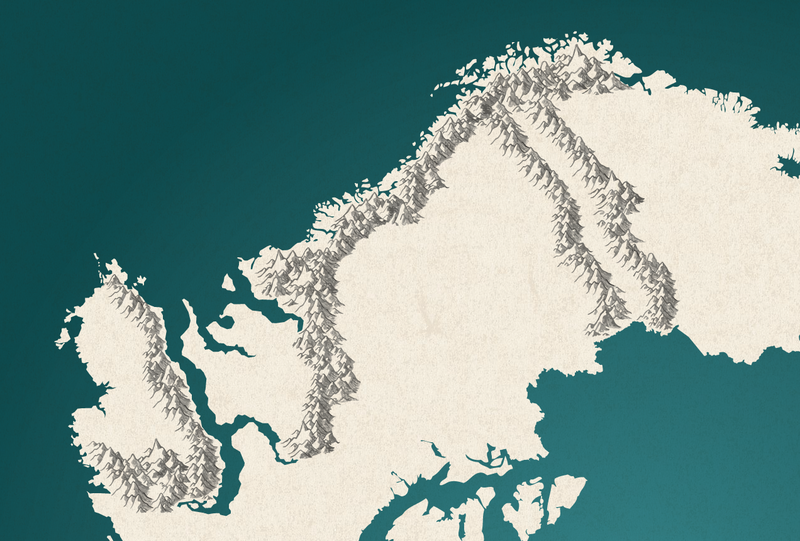 A great deal of my downtime lately has been dedicated to map-making. Nothing too complicated or mind-blowing: I’ve basically just been tinkering away at an overhaul of the original Yavmir map I posted last year. In an effort to simplify the entire map-making experience, I decided it was time make a set of vector mountains that I could use to piece together ranges. I’m not much of an artist, so I based the designs of some sketches done by the very talented StarRaven on DeviantArt. You can seem some of the fruits of that labour below. I’m a big fan of open source everything, so I am posting the mountain vectors I created for everyone to use. They are in .eps format – very useful for Illustrator and Photoshop – and include a filled layer and an outline layer. The filled mountains are incredibly useful for quick map-making, as they stack on top of one another with ease. The outlined versions offer a bit more flexibility with shading, although are a bit clunky when dealing with layers. I hope that some of you will find these vectors tool as useful as I did! I’ll probably be whipping up some vector forests later this year, and I will be sure to post those on the blog when they’re done. Thank you so much, I have looked everywhere for this resource. You’ve saved me from having to delve into creating what I know would have been a terrible looking topographical map for my novel. No problem! I’m always happy to share resources.